Each year, Save the Children releases an annual motherhood report that determines the best and worst places to become a mother. In 2012, the Democratic Republic of Congo (DRC) reached the very bottom of that list. It has continually ranked in the bottom ten in every year since. “We look at the status of women. We look at what it’s like to give birth in those countries,” explains Carolyn Miles. Miles serves as CEO of Save The Children. In DRC, 1 child in 5 dies before their fifth birthday. Malnutrition is extremely common as the country is among the world’s poorest and deforestation threatens the country’s food systems. Women face a difficult set of threats from violence which often results from regional conflicts. These circumstances make the universal task of having children and wanting them to grow up healthy and happy a deep struggle full of daily obstacles. Every day that a mother working a farm sees her crops fail to grow brings about a painful uncertainty. Women face an especially difficult set of struggles in the Democratic Republic of Congo. Anastazie in Kakumba understands these struggles extremely well. Kakumba sits in the northeastern Congo, across the lake from Burundi. This area in particular has seen a complicated history of conflict, disease, and hunger. Communities today continue to exist in a survival mode. While conflict has reduced to some extent, an emerging threat is an unhealthy environment marked by deforestation and infertile soil. This is where Anastazie, a 49-year-old mother of six lives. Like most women in the area, she is responsible for feeding her family and attaining an income through farming. Her farm has struggled with erosion in the past and in spite of her hard work, it underproduced. Anastazie could see how the food shortage had an impact on her children. “The children dined once a day,” she explained. In a country where 40 percent of children suffer from chronic malnutrition, she knew that if things went on like this, the consequences could be severe. She didn’t know how she would pay for their school fees, which also raised the question of whether her children would experience a similar future. 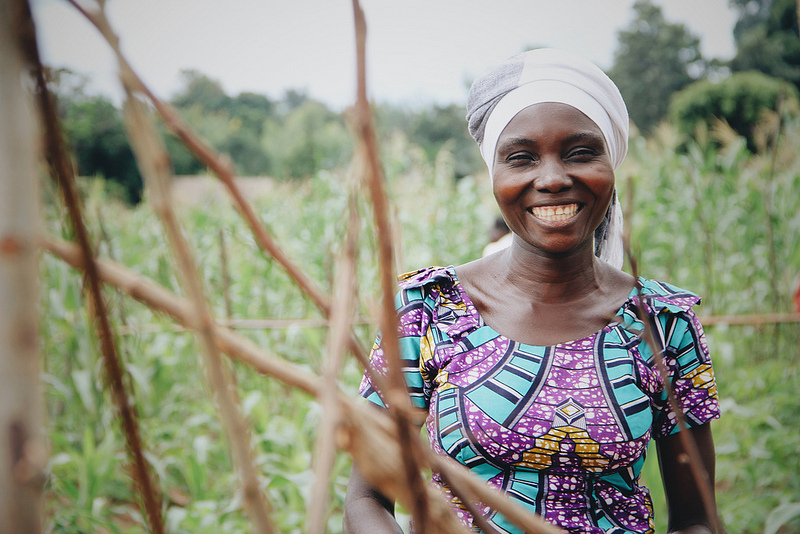 Anastazie smiles in front of her farm in Kakumba. Her participation with Plant With Purpose has helped her children live better. In 2015, Plant With Purpose began working in Kakumba and Anastazie saw it as a way that things could possibly improve. She began to attend a Farmer Field School to receive training on sustainable agriculture. She also joined a community savings group, where other farmers would gather to save up small portions of their income. Through this group, she also learned more money management skills. Anastazie applied the new techniques she started learning. She applied still conservation barriers and planting biointensive gardens. 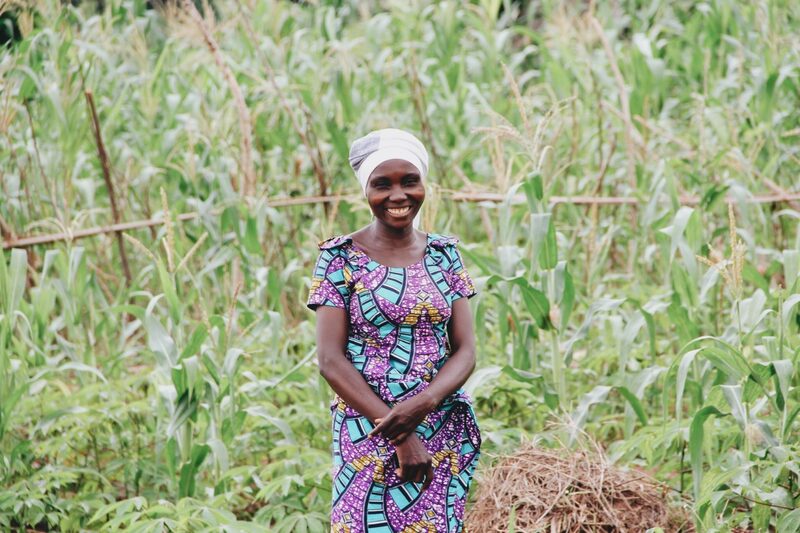 Her farm is now more healthy and has a much stronger resistance to erosion. 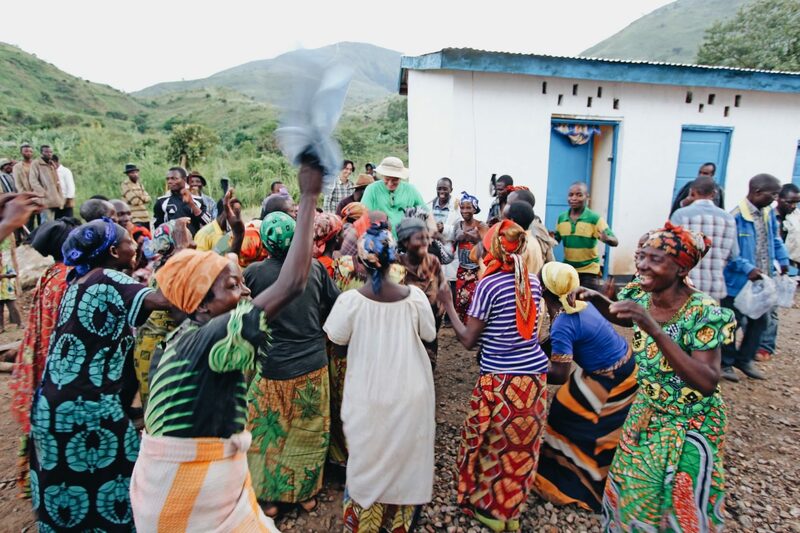 Thanks to your support, Plant With Purpose has been able to make the lives of mothers in DR Congo easier. Environmental restoration, spiritual renewal, and economic empowerment have brought a new sense of hope. To continue empowering Congolese mothers for just $22 a month, learn about becoming a Purpose Partner.